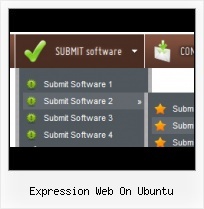 Expression Web 3 Css Menu Integration with popular web authoring software. 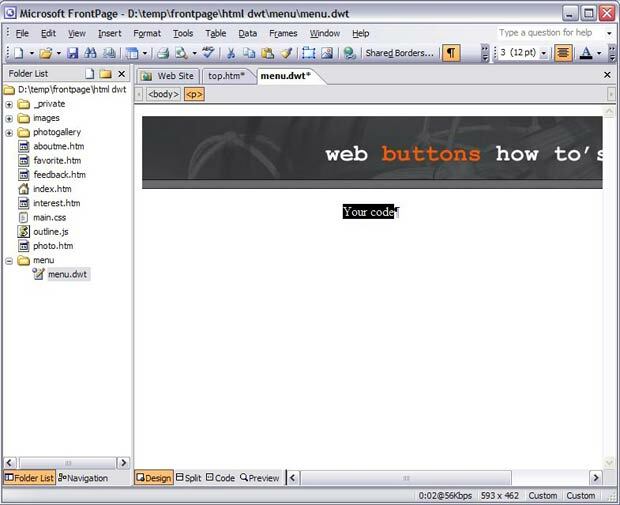 Create a new folder in the root of your website, for example "menu". 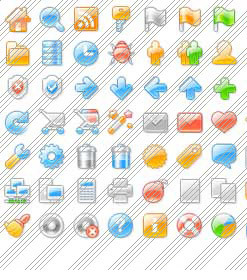 In this folder create a new Blank Page and name it menu.dwt. - Now you should copy the "menu-files" folder into the same folder with your menu.dwt page. 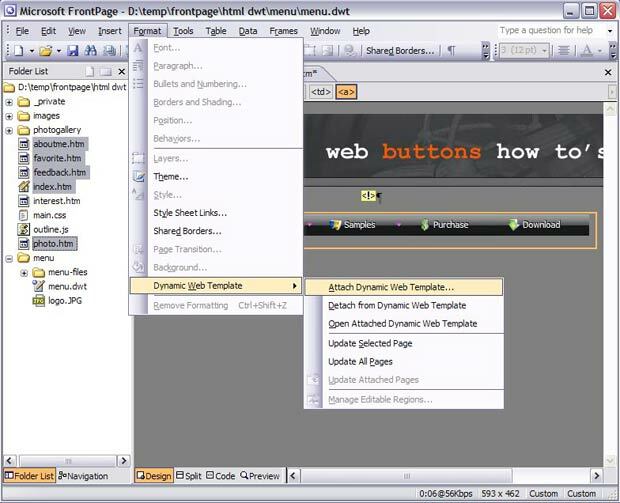 - Select the Preview mode to display the menu.dwt page live (in Internet Explorer). Notice that your mouseover images can be not displayed when you hover over menu items in the Preview mode. It is normal. You'll see all images when you open index.htm page in the Preview mode. 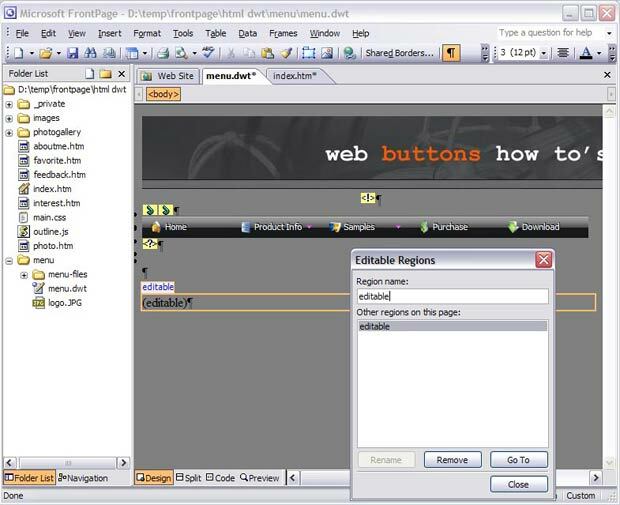 - Add editable regions to a Dynamic Web Template. a. 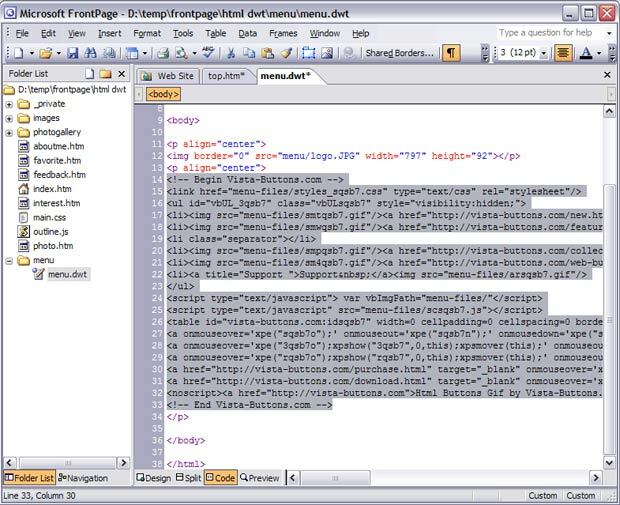 Open the Dynamic Web Template (.dwt) file. b. In Page view, at the bottom of the document window, click Design. 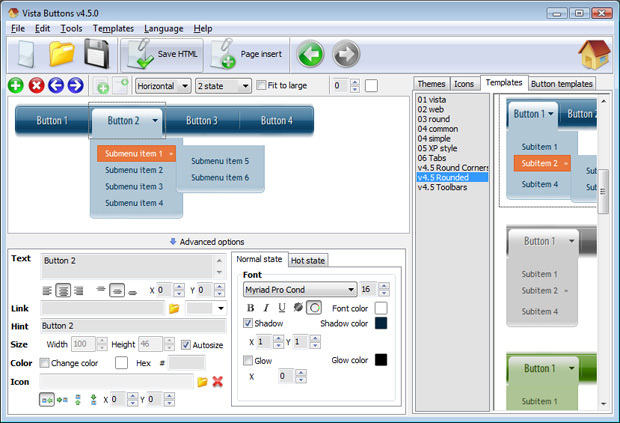 d. Right-click and then click Manage Editable Regions. 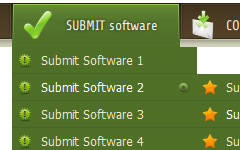 e. In the Region name box, type a name for the editable region, for example, Header, Body, or Footer. f. Click Add, and then click Close. a. Open the Web page you want to attach a Dynamic Web Template to. 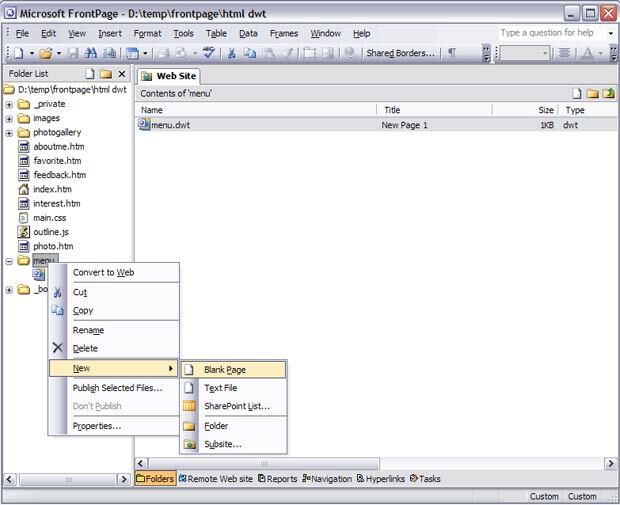 To attach the Dynamic Web Template to more than one page, select the pages you want. * In the Folder List, hold down CTRL and click each page you want. 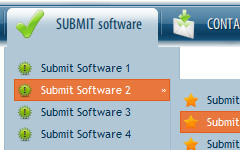 * If the Folder List is hidden, click Folder List on the View menu. b. 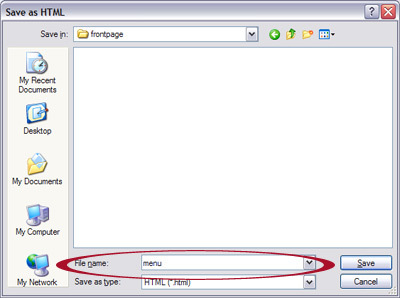 On the Format menu, point to Dynamic Web Template, and then click Attach Dynamic Web Template. c. Locate and click the Dynamic Web Template (menu.dwt) you want to attach, and then click Open. d. In the appeared windows click "Ok" and then click "Close". Expression Web 2 I have found that using Expression Web 2 will cause a BSOD after using the software for I am using the Ubuntu Distribution server version 8.10 and all updates applied.